Cape Town - Dean Elgar of the Chevrolet Knights has been called up to the Proteas Castle Lager ODI squad to provide batting cover for the final match in the Momentum ODI Series against New Zealand at Senwes Park, Potchefstroom, on Friday. This is as a result of the injury that has forced Hashim Amla to be withdrawn from the squad. 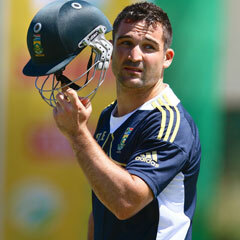 Elgar made his ODI debut for the Proteas during the tour to England last year, playing in all five matches in that series.